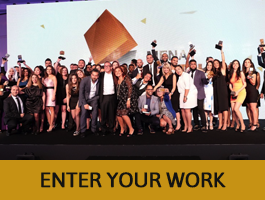 Entries are open to all clients and marketing, digital, advertising, communication and media agencies in addition to any party involved in the digital sector. All entries submitted must include work/campaigns from 1 January 2017 to 31 January 2018. Any work done before or after these dates is not eligible for evaluation but can be used as context if it is part of the same work/campaign being entered. Entries with main campaign duration outside the set dates will be disqualified. All entries submitted must have ran in the MENA region: Algeria, Bahrain, Egypt, Iran, Iraq, Palestine, Jordan, Kuwait, Lebanon, Libya, Morocco, Oman, Qatar, Saudi Arabia, Sudan, Syria, Tunisia, United Arab Emirates, Yemen, Armenia, Azerbaijan, Djibouti, Georgia, Mauritania, Turkey, Pakistan, Somalia. Work/campaigns can be entered in more than one category as the entrant sees relevant. But the same entry cannot be submitted more than once in a given category. All entries must be submitted online via the Entrant’s dedicated login. Only one party may enter an entry, i.e. either the digital agency or the Advertising agency or the media agency etc. may enter a piece that both parties have worked on, but not both. If the same entry is submitted by two different entrant companies, only the first entry will be accepted. There can only be one entrant company per entry. The entrant company is responsible for payment of entry fees and is the automatic point of contact for the entry. Please ensure that all contributing companies are recognized on your entry form before finalizing your submission. It is the Entrants responsibility to ensure that the entry submitted is relevant to its category. All entry forms must be completed online by February 22, 2018, at 18:00 UAE Time. Incomplete entries and entries that have not been endorsed before entry deadline may be disqualified by the Organizer. Please note that entries submitted online will not be considered complete until: all the relevant entry materials have been uploaded, submitted and payment is made within the set grace period. Entries will be judged by a jury consisting of well-known and credible digital practitioners, marketers, strategists and other experts. Judging will take place in two rounds to determine the shortlisted and winning entries. All entries will be judged by a minimum of six (6) jurors. Judges will evaluate and score each entry individually from across categories. Entries with the highest scores in each category will become shortlisted and qualified for the final round. All shortlisted entries will be judged in a second round by a minimum of six (6) jurors. Judges will evaluate and score each entry individually from across categories. Entries with the highest scores in each category will be awarded Gold, Silver, and Bronze respectively. Shortlisted entries may or may not be converted to wins. It is not mandatory that each category have shortlisted entries nor have winners. 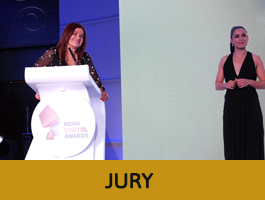 One Grand Prix is granted at the MENA Digital Awards and it goes to the highest scoring gold winning entry regardless of category. In the cases that no gold awards are awarded, there will not be a Grand Prix trophy. 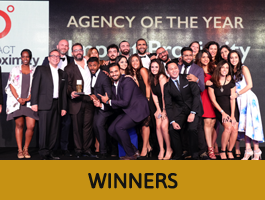 Agency of the Year and Network of the Year goes to the highest overall scoring Agency and Network as per the below scheme. If a shortlisted or winning entry has both Lead Agency and Support agency, the points awarded to the entry will be divided and allocated equally among the agencies credited. The Entry can have more than One Support Agency. If a shortlisted or winning entry has both Lead Agency and Support agency, the points awarded to the entry will be divided and allocated equally among the agencies credited. If the agencies sharing the points are from the same Network, the total will go to that Network. Nevertheless, if Agency A belongs to Network A and wins an MDA Award with Agency B (which belongs to Network B), then the points will be divided and shared equally between both Networks. If Agency A belongs to Network A but the second agency is independent half the points will go to Network A. The Entry can have more than One Support Agency. The entry is being evaluated on how succinct and insightful the approach is to the overall issues and target audience with proven evidence. The entry is evaluated based on the originality of the idea, creativity of execution as well as on innovation in measurement of results. The entry will be evaluated on how convincing the argument made establishing a cause and effect between the objectives, strategy and results of the campaign. This entails that the entry should show the effective use of resources, technical excellence in implementing the campaign. The entry will be evaluated on how well the chosen strategies and communications methods met the set objectives. Entries must provide quantification/proof of results from a credible source (and seek third party verification of awards winners). Judges will also looking for clearly defined strategic objectives with a link to business performance. Each company is to use their online account to submit all their entries. More than one person may use the login details at the same time to streamline multiply entry submissions. You are advised to adjust your written entry if your work/campaign is entered in more than one categories. All sections of the form, credits, and support materials are mandatory to complete entry submission. The Entrant can add, view and edit their work at any time before the Entry Deadline. A final invoice with all valid submission will be sent to the Entrant Company. If your submissions have not been paid for at close of entry they will not be included for judging. In addition to the “Entry Form” that is submitted online, the following support materials are required for successful submission of every entry. The case summary board is comprised of two sections. 1. The first section is a one-page summary including three images that represent the entry and a short summary of 200-300 words to include; challenge – strategy/execution – topline results. 2. The second section is a one-page with references to any support material online such as social URLs / Microsites/ Landing Page, Facebook App, Mobile App, Banners, etc. These are meant to show evidence of the success of the work. The Showcase is meant to illustrate how your campaign was brought to life. The best Videos/Presentations are ones that tell the story of your campaign throughout all phases from strategy inception to execution to post campaign results. The Showcase is a visual aide to support your entry and should not be a duplicate of your entry form. The uploaded file will be used to showcase the entry if awarded. Entrant should only upload One Showcase; it is either a Showcase Video OR Slideshow Presentation. Video Language: English or have English subtitles. You can also copy and paste the URL of your videos from Youtube or Vimeo in the attachment tab instead of uploading it as an attachment. If the entrant company is an Agency then consent from both Agency and Client representatives is required. If the entrant company is a Client, then only the client consent is required. Early Bird Entry Deadline: January 25, 2018 , 06:00pm UAE Time. Final Deadline: February 22, 2018 , 06:00pm UAE Time.